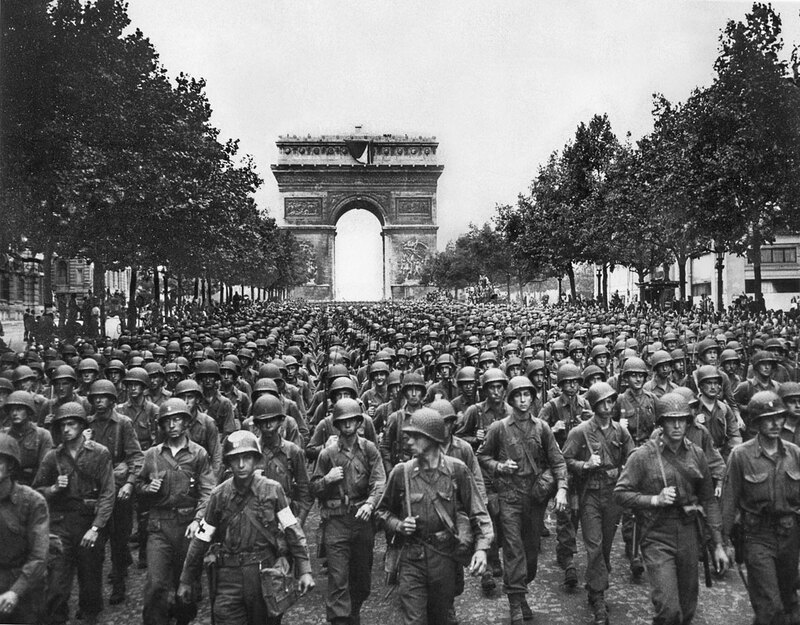 Paris Liberation: U.S. soldiers of Pennsylvania's 28th Infantry Division march along the Champs Elysees, the Arc de Triomphe in the background, on August 29, 1944, four days after liberation of Paris. Your webmaster was barely nineteen years old, but a seasoned veteran, as he had already slogged his way from the hedgerows of Normandy to the outskirt of Paris. In this photo he is sixth from the front and sixth from the left. Point your mouse to him for an enlarged image.